Joe Rodriguez’s father started SPI Nets more than three decades ago, relying on his fishing background to launch a business making fishing nets. But today, the company’s nets don’t catch fish. They catch balls – baseballs, soccer, golf and even lacrosse balls. 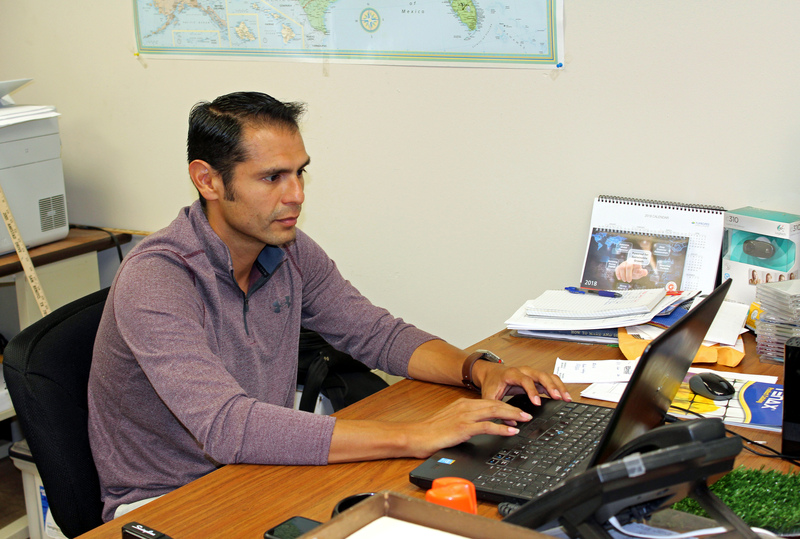 Rodriguez changed the San Benito company’s direction to become a sports-centric operation. “It’s more profitable and there’s more room for growth.” SPI Nets offers a wide variety of sports nets that include baseball backstops and batting cages, soccer goals, football goal post netting and a variety of practice nets for golf to lacrosse. Eight employees work at the company’s home location in San Benito, but most of SPI Nets fabrication takes place in a maquiladora in Valle Hermoso, Mexico, where between 25 and 30 people are employed, depending on the work load. “We are looking to get more into the retail side, and move aggressively to do so,” Rodriguez said. “We already have retail customers all over the country, primarily schools and cities.” Some of those clients are in the Rio Grande Valley, where SPI Nets has built sports netting for use in San Benito, Brownsville, Sharyland, Weslaco and others. One of Rodriguez’s biggest challenges today is developing a marketing plan to promote and sell custom sports netting. “We cater to the custom product. Making the product is the easy part. Marketing is a different baby – that’s a learning curve.” He attends about four trade shows each year as part of that marketing effort, and is researching other avenues to reach new customers. 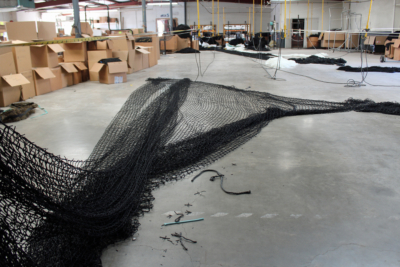 While sports netting and accessories are the primary focus of SPI Nets, the company also handles industrial applications such as windscreen fencing, construction site barriers and landfill fences. For larger custom netting, the company website includes a feature for customers to design, price and order custom netting to meet their needs.